MOSCOW, November 16. /TASS/. Russia’s further close cooperation with the World Health Organization (WHO) will benefit both citizens of Russia and the United Nations member-states, Russian President Vladimir Putin said on Thursday. 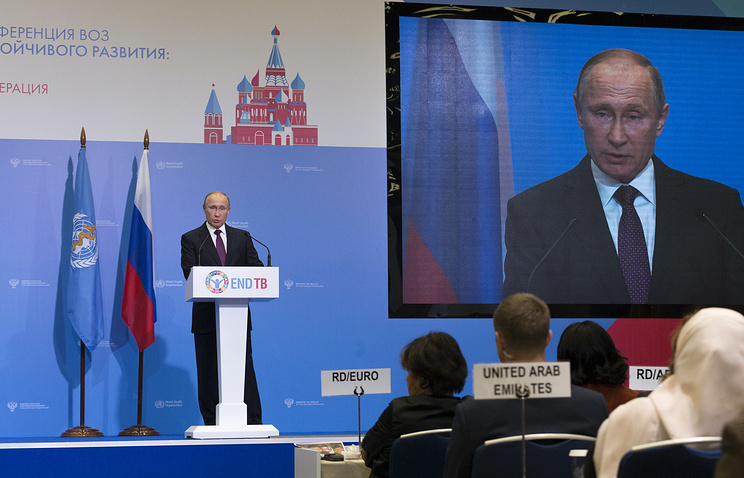 "In 2009, our country signed an agreement on cooperating with the WHO and currently the strategy for cooperation up to 2020 is being implemented," Putin said at the meeting with WHO Director-General Tedros Adhanom Ghebreyesus and First Deputy UN Secretary-General Amina Mohammed during the WHO global conference for ending tuberculosis. 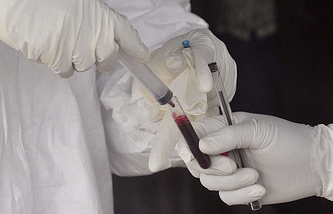 This week the Russian government announced a decision to allocate about $15 mln to the WHO in 2018-2020 to fight tuberculosis and "implement a joint project between Russia and the WHO to galvanize multisectoral measures to end tuberculosis. ".